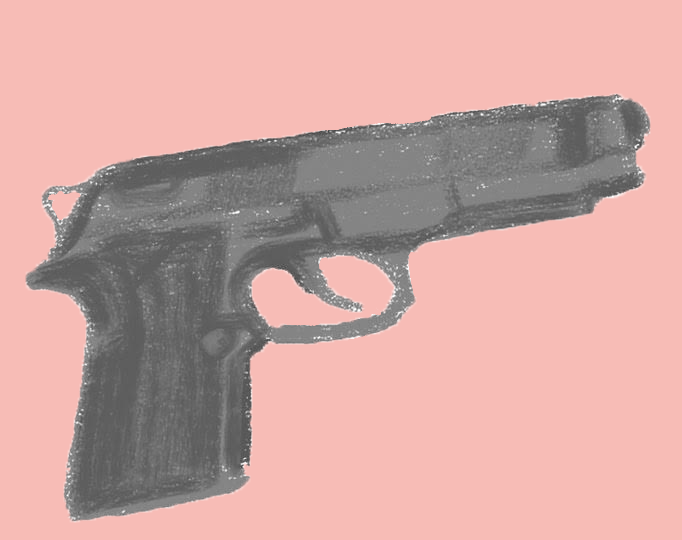 The topic for this month is gun control. Travis B: To start us off, how about an important statistic? According to independent news organization Mother Jones, at least 80% of the guns used in mass shootings committed since 1982 had been legally acquired. Those who stand opposed to any increased regulation of gun distribution will often state that gun control won’t stop those who intend to use guns to harm others from obtaining them because “criminals don’t care about the law!”. Apparently, 80% of mass shooters in the last decades did in fact go to the trouble to acknowledge the law and go through with purchasing a gun legally, and the background checks that are supposed to prevent guns from falling into the wrong hands clearly hasn’t done what they’re supposed to do. It’s blatant that other regulation is needed if we’re to decrease the amount of mass shootings in the United States. With that being said, I’m not suggesting taking away the weapons of any American. So many anti-gun control advocates believe that gun control suggests taking away their weapons altogether, thus leaving them defenseless against whatever their paranoia conjures up. However, the process of buying a gun should be more difficult and the background checks more thorough. Longer waiting and minor inconvenience are undoubtedly worth it if a person’s untimely death in the future is prevented. Olivia: From an Australian perspective, gun control laws state that in order for an individual to possess and use a firearm, they must have a firearm licence. Licence holders must be at least 18 years of age, have a valid reason for holding a firearm (with self-protection not being considered one) and must not be classified as a “prohibited person.” Though these conditions slightly vary from state to state, since the introduction of gun laws in Australia, the risk of dying by gunshot has declined by more than 50%. Albeit these laws were designed to specifically reduce mass shootings, the rates of homicide and suicide through firearms have also declined. I think these statistics speak volumes, and is more than a justifiable reason to introduce stricter gun laws in the U.S. Australian firearms laws were introduced following a massacre in 1996 where 35 people were killed by a gunman, and it just makes me wonder how many mass shootings America must go through before their firearms are regulated. I understand that the U.S. is a much larger nation that Aus, but it is imperative that action is taken as soon a possible to prevent further destruction. Alexis D: Whenever I hear arguments about gun control, I almost always hear somebody bring up Australia and how well their gun regulations have worked. I wish that the same scenario could be applied to the United States, but it’s just not plausible right now. For example, Wikipedia states that in Australia, there are 21.7 guns for every 100 people, which is probably why it was so easy to pass these laws. However, Australia ranks 26 out of 175 on this list. The United States, on the other hands, ranks 1 out of 175. In the US, there are approximately 112.6 guns for every 100 people. The fact that these statistics don’t include illegally owned guns is more than concerning. There are more guns than there are people in the United States, which is why it’s so hard to pass gun control laws. The other phrase I hear most in gun control arguments is, “It’s my right to bear arms!”. Which is correct. The US Constitution states that all citizens have the right to bear arms. However, the Constitution was written in 1787 by white men that had finished fighting in a civil war. They didn’t have the luxury of modern technology like security systems to keep their households safe. Back then, people believed they needed guns because it was a lot harder to uphold the law. Not to mention, the only guns really available to the people were rifles and bayonets, which couldn’t really easily be concealed or be used to shoot hundreds of rounds at a time. Nowadays, however, I believe there isn’t a need for guns in our daily lives. It’s a lot easier to catch criminals than it was in the 18th century. Technology has come a long way, and people are now fighting for the right to carry AK-47’s and automatic assault rifles in public. They want to own machine guns for hunting - because nothing says serenity and nature like 100 rounds going off in the forest. Guns are a lot of more dangerous and a lot more unnecessary today than they were when the Constitution was written, but we shouldn’t completely ban them. I don’t see why people can’t own and have carry permits for handguns, but people should not be able to carry their assault rifles with them when they go grocery shopping. Laila: Creating stricter gun control laws will not prevent criminals from obtaining guns or breaking laws. In previous years criminals from populated cities have found new ways to receive a gun illegally through gangs, etc. Living in the South Side of Queens, I hear about, I am surrounded by it, and I know people that have been affected by gun violence in these gangs, and that is why I want to see a change. Gang members are responsible for 130, or 40%, of the city’s murders for the year of 2015. Innocent people are being killed every single day, a change needs to happen. If we put as much effort into how many people have guns as we did with controlling who has them, then we could stop handing weapons into irresponsible hands, and stop the senseless acts that come as a result. The violence continues to get worse the less we pay attention to these areas because it becomes a free for all. The homicide rate for male victims aged 15-29 is more than four times the global average, due to higher levels of gang-related homicide, according to the report by the United Nations Office on Drugs and Crime. Part of Obama’s gun control action is aimed at people who are illegally engaged in the business of firearm sales. Guns are made to kill, however no one has to die because of the situation they are in. Gang violence is interconnected with other underlying causes of violence stemming from drug abuse, and concentrated urban poverty. Effectively working on the local streets and working broader may slightly relieve the issue.